Contemporary Custom built rancher on Full Basement with In-Law/Apartment on Lower Level. 2 Full Kitchens, 2 Laundry, 2 gas fireplaces Separate private entrance for basement. Circular Driveway. 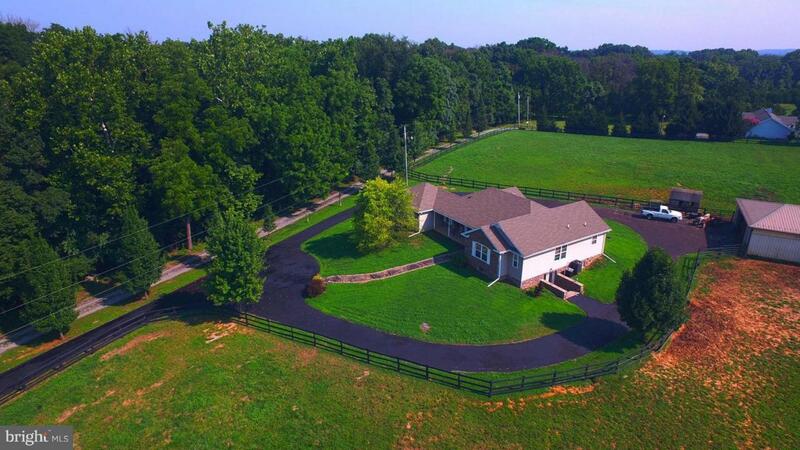 Terrific horse property or farmette has 3 fenced pastures with Center Aisle Stable with 5 Stalls, Tack Room, Loafing Shed. Terrific Views. Must see!